This is a pack of ten Pro-Line Double Sided Mounting Tape Pieces. 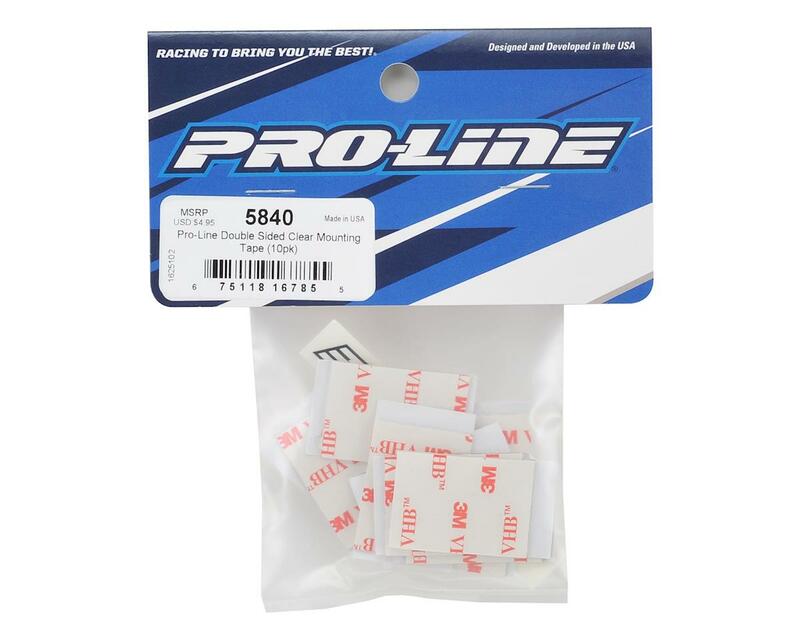 Pro-Line now has the Best Double Sided Tape for all your R/C needs! 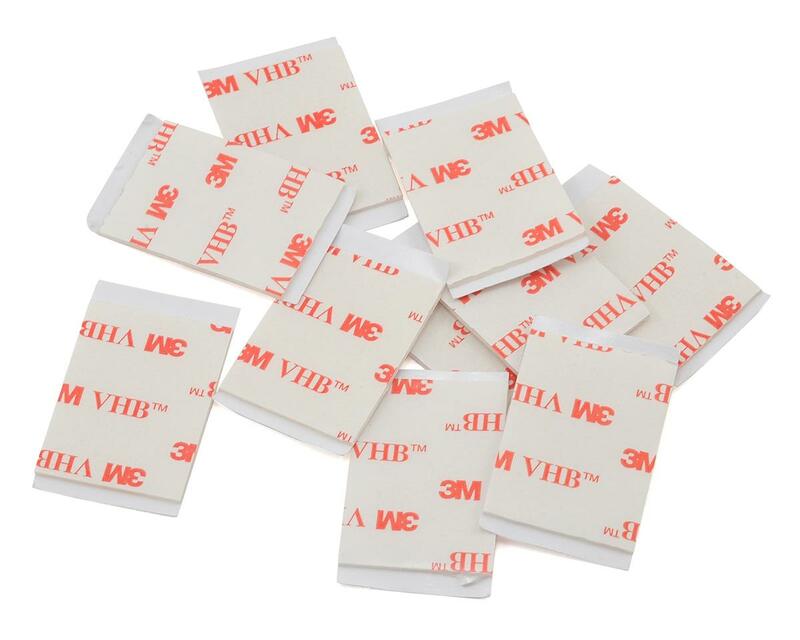 Pre-Cut into 25mm x 35mm squares, this Clear and cushioned Double Sided tape is ideal for securing your Receiver or ESC to the vehicle of your choice. Pro-Line’s Double Sided Clear tape comes in a pack of 10 individual pieces and is protected with anti-stick backing on each side that can be easily peeled before application.